Good morning, dear readers! I am still trying to catch up on blog posts and swatching since returning to town a few days ago, and it feels like everything is going against me right now. I've got two sick littles at home, but I am determined to get some posts written and shared! Let's jump right in on today's post while I can! I have shared several shades by Ellagee on my blog, but did you know that you can also get other products? Laura, the owner of the brand, has also created several cute designs that are printed on phone cases, mugs, totes, and clothing. I was sent to cutest coffee mug to share with you! Check it out! This mug is so perfect for me! I love the complex swirled design of the polish bottles and the overall simplicity of the same design repeated but in a different colour. It's also a great mug because it easily holds 14 fluid ounces of coffee! It certainly puts my smaller coffee mugs to shame, but it still doesn't feel overly huge and uncomfortable to handle. If you are a coffee, tea, hot chocolate or whatever you darn well what drinker, you're going to want this! 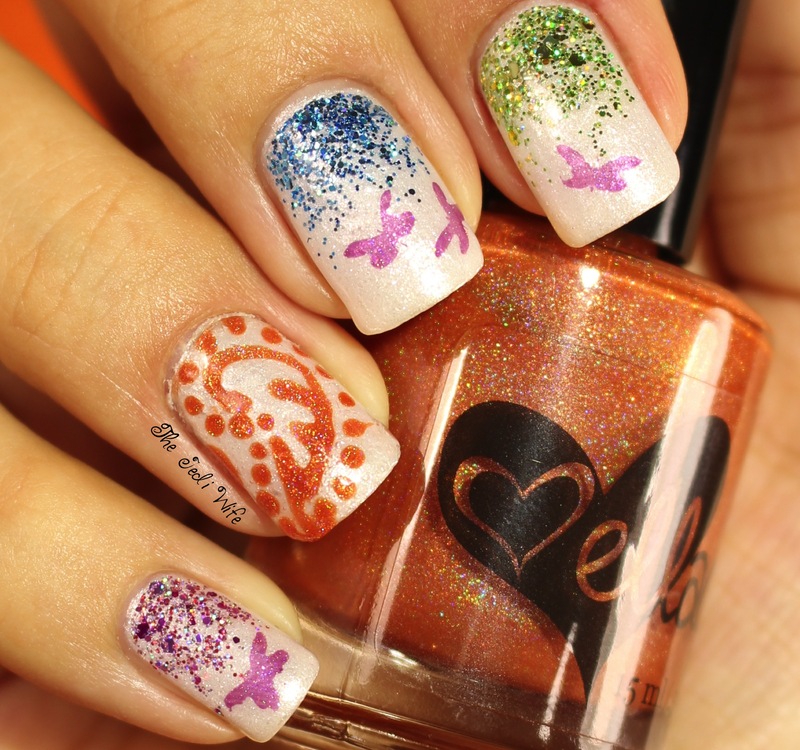 After all, if you visit this blog, you must be a fan of polish too, right? 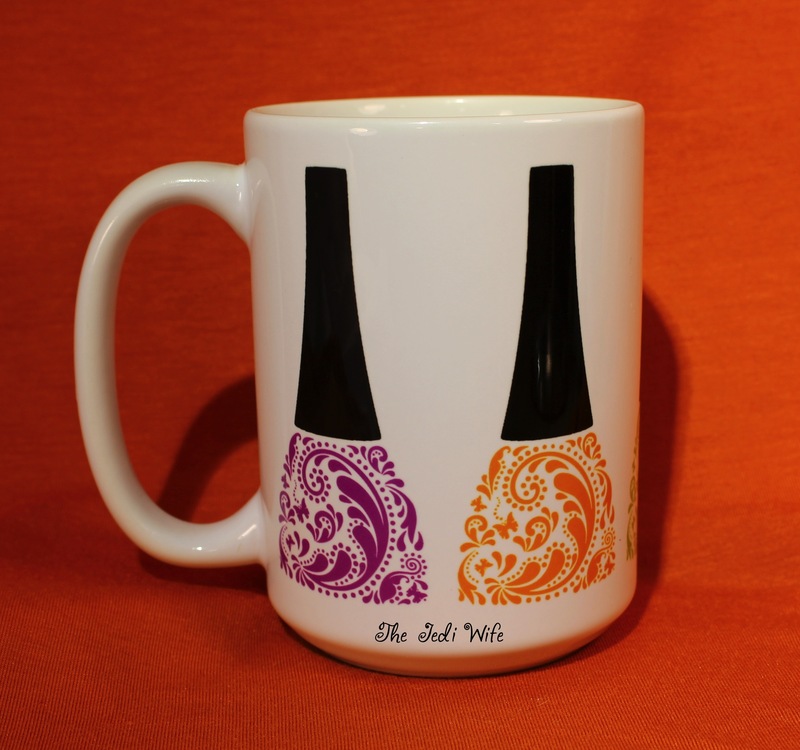 This mug and other products can be purchased from the Ellagee website here. You didn't think I would stop there, right? I was inspired to create a nail art look to match my fabulous mug. Check it out! My nails are all about Ellagee! I used the following shades to create this look. All these products are available for purchase from Ellagee here. Love the mug!! So cute; love the design of the bottles and swirls. I am really impressed with your freehand skills-- your manicure definitely captures the feeling of the mug. Too cute!! I need to pick up some goodies from her! First of all, I hope that your little ones get better and your life can return back to normal soon. Tsmf this! Wow I had no idea that ell Agee sold such beautiful products. I hope your little ones feel better very soon. 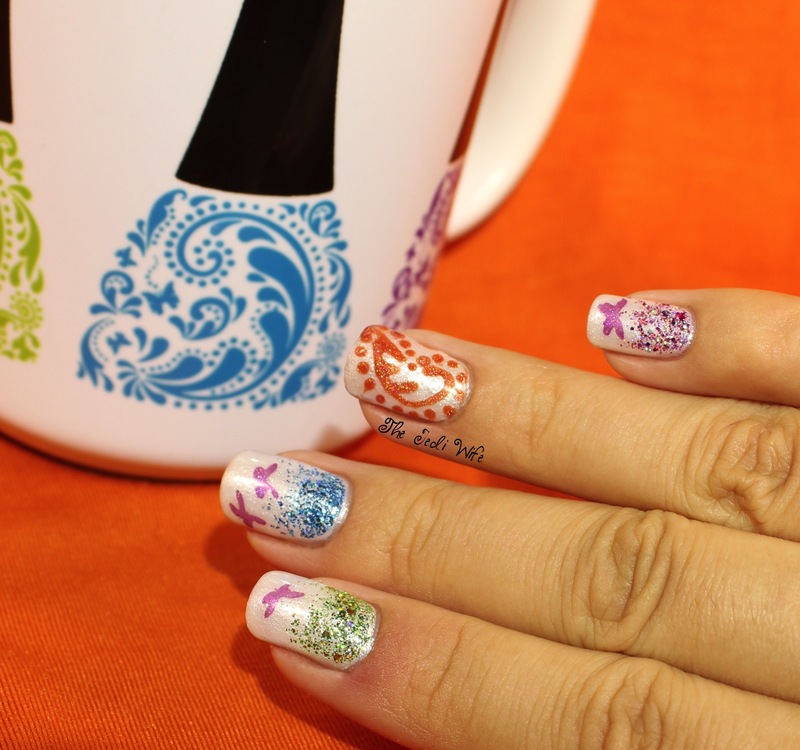 <3 That mug is super cute and your nail art is fab! Love the matching nail art! Those mugs are so adorable I have been begging my husband for one. Anyway I hope your lil one feels better soon! 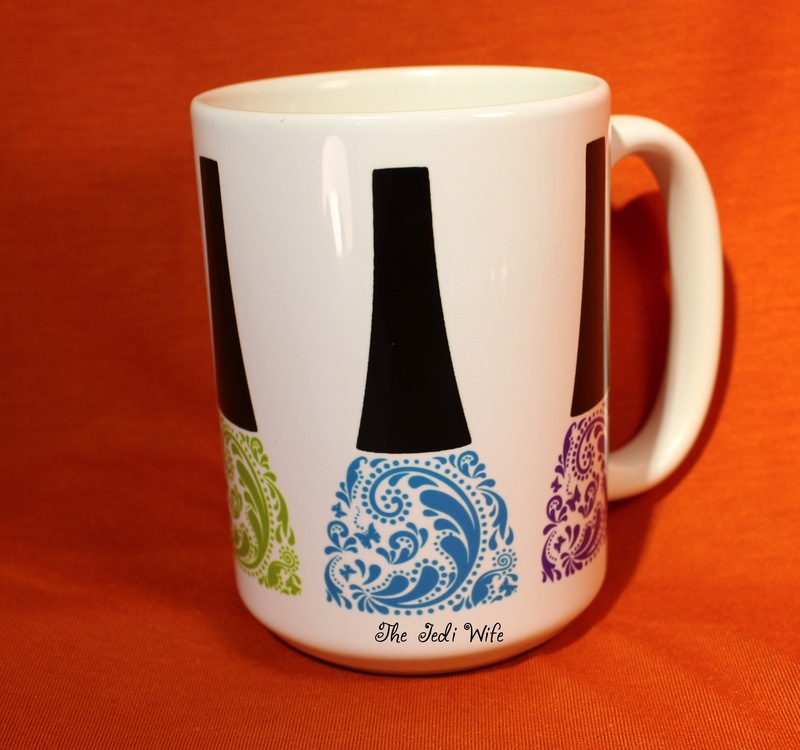 I think I need that mug :D Your mani is spot on with it!! Lovely nails and lovely mug! I may need to get one for myself! I wish more makers would sell cutest things like this! I love that mug!!! What a perfect way to channel the mug design! What a cute mug and I love your nail art!